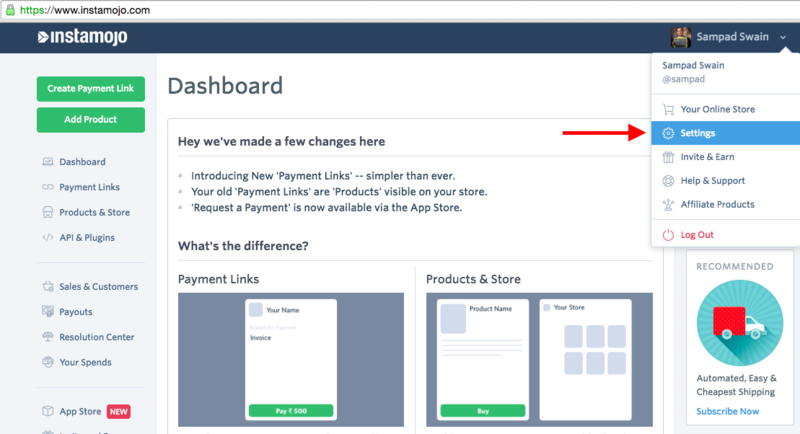 Login to your Instamojo dashboard, click on your username on the top right hand side. Click on Account settings. Fill in the updated Mobile number and click on save. 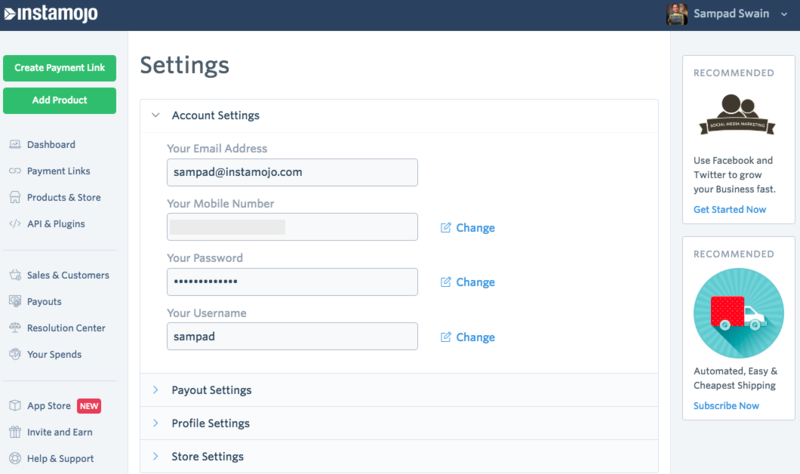 This will successfully update your contact info for all further communications with Instamojo. Repeat step 1 as above. Click on Profile Settings. Fill in the contact info you want to give and click on save, this will successfully update your contact info on your online store which will be visible to your customers and they can contact you. Please note that you need to send an email to support@instamojo.com from your registered email address for any query.